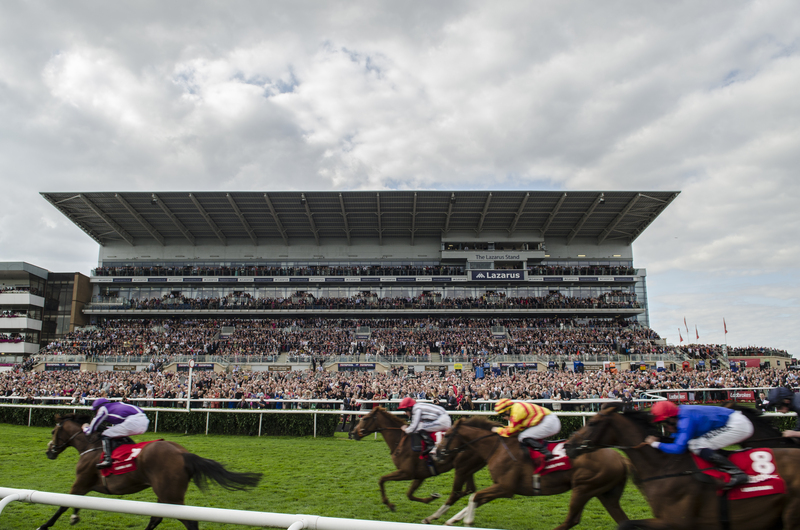 Doncaster host the Ladbrokes St Leger on Saturday. (Pic: Courtesy of ARC). Ralph Beckett was second in the 2013 Ladbrokes St Leger with Talent and hopes to go one better with Simple Verse after she was supplemented for £50,000 to run in this year’s race. A maximum field of eight runners are set to contest the last Classic race of the season that is run at Doncaster on Saturday after owners Qatar Racing Limited, Sheikh Suhaim Al Thani and Mohammed Al Kubaisi supplemented the three-year-old daughter of Duke Of Marmalade. “The owners didn’t really take much persuading to supplement Simple Verse for the Ladbrokes St Leger. Once it was established she was in good nick, it became the obvious thing to do,” Beckett said of the filly who has won three of her six starts that includes a last start win in the Group 3 Markel Insurance Fillies’ Stakes (Lillie Langtry Stakes) at Goodwood. “She did a good piece of work nine days ago,” Beckett said on Monday. “I was very pleased with that and, while we haven’t trialled her at home, the work was good and she has developed physically. She has come on for both her wins at Salisbury and Goodwood. “She is not ground dependent – she has won on a fast surface and she has won on slow ground. We felt that with the fact that she is progressive and she is a certain stayer, supplementing her for Doncaster seemed like the right thing to do. “It would be difficult to compare her to Look Here and Talent [Beckett-trained Oaks winners]. I felt Look Here didn’t stay in the St Leger, although she ran very well, while Talent ran to the same level as she did when she won the Oaks. Both of those fillies had troubled preps for the St Leger. Look Here didn’t run between the Oaks and the Leger, while Talent ran poorly in the Irish Oaks. David Redvers, racing manager to Qatar Racing, explained the owners’ thinking behind the Classic bid. “Sheikh Fahad [Qatar Racing principal] is always up for a challenge. When Ralph proposed supplementing the filly, Sheikh Fahad gave his full support as he was keen to go with Ralph’s hunch. “The Ladbrokes St Leger looks quite open, depending on the ground and what Aidan O’Brien runs. Some of the likely runners have had long campaigns, while Simple Verse is relatively unexposed. “Her work suggests she has improved since winning at Glorious Goodwood. She is guaranteed to stay the distance of the Ladbrokes St Leger and will act on quicker ground.